Yashobodhi is our guide for this year’s Dharma immersion online and at Triratna Centres around the world as part of the 2018 International Practice Week. Here is a short guided tonglen meditation you can use all week to support going deeper with the seven-point mind training work Yashobodhi is exploring. A great, practical way to ground yourself and get an experience of why this kind of practice matters and how it works. The International Practice Week - an Urban Retreat taking place across the Triratna world - kicks off on Saturday 22nd September. The International Practice Week is a great opportunity for Triratna centres and groups throughout the world to concurrently explore Dharmic themes in their local contexts. But if your local Triratna Centre or group is not taking part, you can still join in online! 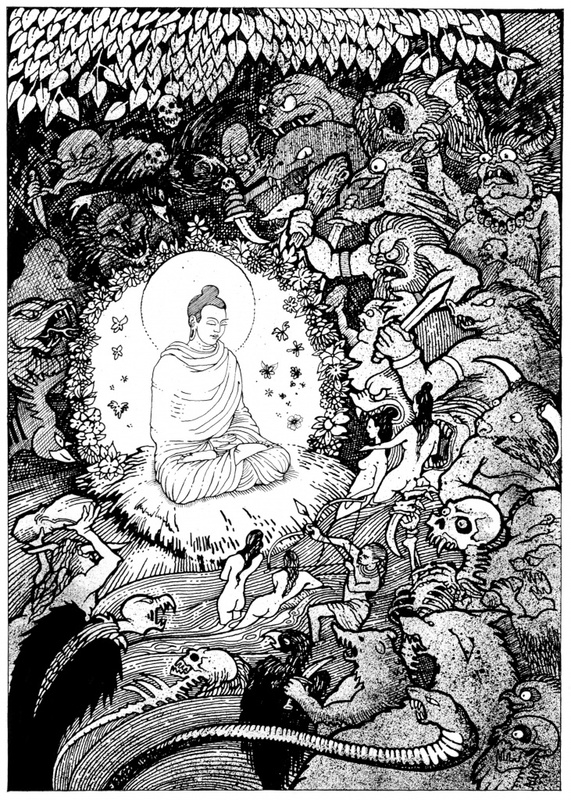 This world-wide international practice week is based on the image of the Buddha on the cusp of his Enlightenment, at the point when Mara attacks him with all he’s got - but the Buddha does not react with anger, hatred, defensiveness but instead sits in complete peace and openness: the arrows, abuse & weapons hurled at him drift down around him as harmless flower petals. The proposal for this international practice week is to make this a world-wide practice week, including all Centres and Triratna Practice Groups wherever they are – the theme was inspired by Subhuti’s teaching on the 2017 order retreat at Bodhgaya.